The Speaker of the Lagos State House of Assembly, Rt. Hon Mudashiru Obasa has called on Nigerians not to relent in praying for a peaceful general elections next year. Rt. Hon. Obasa also urged the people of the country to desist from actions and utterances that can negatively affect the peaceful co-existence of the country. The Lagos Assembly Speaker’s admonition was contained in his message to Nigerians on the celebration of the country’s 58th Independence Anniversary. The press statement, issued in Lagos on Sunday, was signed by his Chief Press Secretary, Musbau Rasak. “It’s a very crucial period in Nigeria and as we move towards the 2019 general elections, I want to call on Nigerians to continue to pray for peace to reign before, during and after the elections. “We must also eschew violence, avoid actions and utterances that can breach public peace. We must promote measures and programmes that will enhance the unity of this country. “As parents and citizens, we must be vigilant and be watchful of friends our children and wards associate with. We must be vigilant of events in our environment and make sure we report suspicious characters and groups to security agencies in order to nip crimes in the bud. “As youths, we should not allow ourselves to be used as agents of violence. We should not give in to unscrupulous elements in the society who will want to take advantage of our vulnerability to cause mayhem and disturb public peace,” Rt. Hon. Obasa said. He stated that the All Progressives Congress (APC) administration at all levels is not unaware of the challenges facing the country assuring that the government will not relent in putting in place measures and programmes that will enhance the welfare of the people and improve their standard of living. “The APC government at all levels will continue to put in place measures that will ensure that Nigerians get dividends of democracy even at their doorsteps. 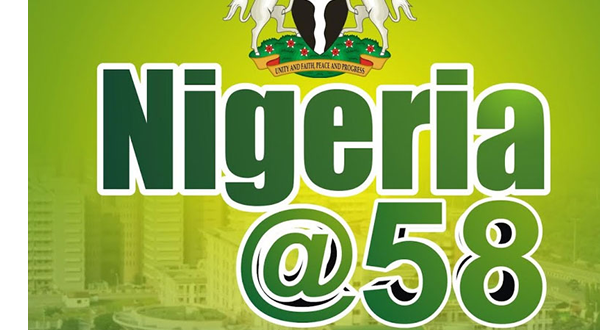 “On behalf of the entire members of the Lagos State House of Assembly, I wish you a happy and fruitful 58th Independence Anniversary celebration,” he said.